The days of traditional landlines are long gone. I didn’t have a cell phone. No one did. I mean, think about that for a minute. I couldn’t make calls on my way to class, at the grocery store, or in my car (not that I had a car, but that’s beside the point). I had a telephone in my dorm room, and that’s where I made 100% of my calls. And get this. Anything more than a dial tone was an upgrade. Call waiting was optional. Caller ID didn’t exist. Remember Star 69? For about $.50, you could find out the last number to dial your phone. Talk about a life changing invention! Fast forward two decades…and I don’t even have a landline anymore. It took a while for my husband to convince me, but we finally took the all-cellular plunge about 5 or 6 years ago. For the most part, it was a great decision. But every now and then, I do miss some aspects of having a landline – specifically, consistent call quality and the ability to use a traditional telephone, which I always found to be more comfortable and ergonomic than a flat, hard cell phone. magicJack is a great compromise for people like me – people who want the quality and comfort of a landline, with the convenience and affordability of today’s cell phone plans. This holiday season, magicJack is bringing you a variety of budget phone options that work at home, in the office, or on the go with mobile devices. magicJackGO is a home phone replacement service that provides free local & long distance phone calls to mobile phones and landlines in the US and Canada. All you need is high–speed Internet and any landline phone. 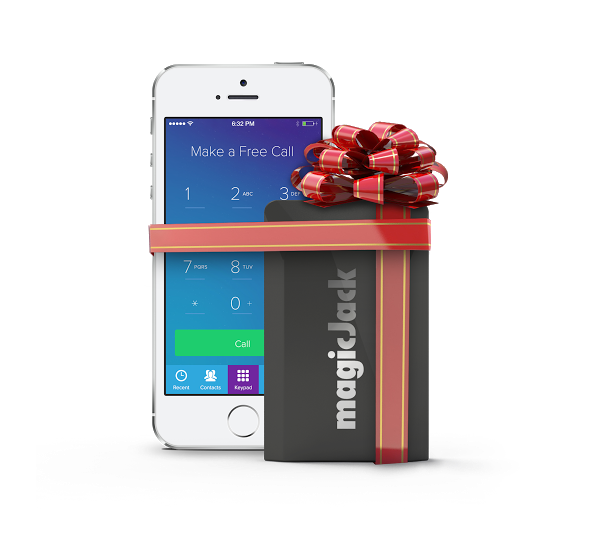 magicJackGO also offers free international calling to any other magicJack number. The updated magicJackGO device provides crystal-clear voice service over an existing broadband Internet connection. A year of unlimited local and long distance calling to the U.S. and Canada comes with the ultra-low device price of $59.95*. Then the same great service is only $35*/year – less than $3 per month. magicApp is a free over-the-top companion app for almost any iOS or Android device, ideal for saving mobile minutes and gives users one number that rings on GO devices and mobiles. The magicJack family is most proud of having recently received the 2013 Frost and Sullivan award for the Best Consumer VOIP Service, scoring at the very top in all five measured categories, including Overall Quality, Ease of Use, Billing Practices, Value, and Pricing. rates, and free dialing to the U.S. and Canada from anywhere in the world. Small Business Owners – Get more flexibility outside the office by taking a business line on the go using the magicApp. Plus create a customized telephone number for your business! How To Activate GO Final from magicJack on Vimeo. All you need is a phone and a high-speed internet connection! Your magicJackGO purchase includes a free year of service ($35/year thereafter) and can be used with magicApp, the free companion mobile app for iOS and Android, which is being downloaded millions of times per year on smartphones, computers, tablets, and iOS devices. For more information or to purchase a device, visit magicJack online. magicJack is also sold in over 25,000 retail stores! BONUS: Later this month, magicJack will be hosting a giveaway here. One reader will win a magicJackGO unit, which includes a free year of service ($35/year thereafter) and can be used with magicApp. Check back for details! P.S. 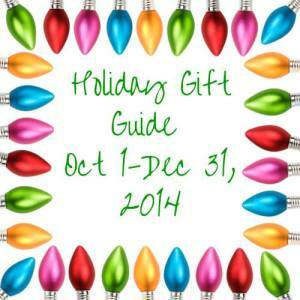 For more great gift ideas, be sure to check out my 2014 Holiday Gift Guide! Interesting and makes me think about cancelling our phone service to save some money since we don’t use our home phone all that much. This is an awesome gift that will help you save money all year long! Great product and gift idea! I’m really interested in this. My brother had it and he said he really liked it. For it to work, you have to have a computer running the whole time, right? I was a little confused about that part. Other than that, there are days when my husband and I cannot get signal and we really miss our landline. Hi Jennifer! You need a WiFi connection – so technically you don’t need to have a computer turned on, if that’s what you’re asking. You just have to be able to connect to the internet via WiFi. Does that help at all? We have been thinking about getting rid of our home phone but I think that we should keep it! Magic Jack sounds like a great deal! 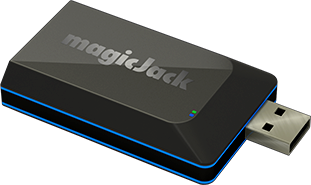 I’ve read about MagicJack before and it always sounded interesting. I’d love to be able to stop using our landline and find a less expensive alternative. Thanks for the great idea! We haven’t had a landline in about 15 years, but I love the idea of using it for business! I’d never thought of that. Thanks so much for sharing. I love the idea of using this for business. A great way to stay connected on-the-go! I would love to try Magic Jack, but I’m always afraid things like this won’t work in my rural location!